Gain the financial technology (FinTech) skills essential for a career in tomorrow’s financial institutions. With developments in computing continuing to accelerate, understanding their applications to financial markets will make you highly employable in a variety of industries. With this joint degree you benefit from the expertise of specialists at the University of Sussex in the areas of informatics, accounting and finance. You’ll gain strong computing skills in combination with the finance, business and data analysis skills required for a career in financial technology. 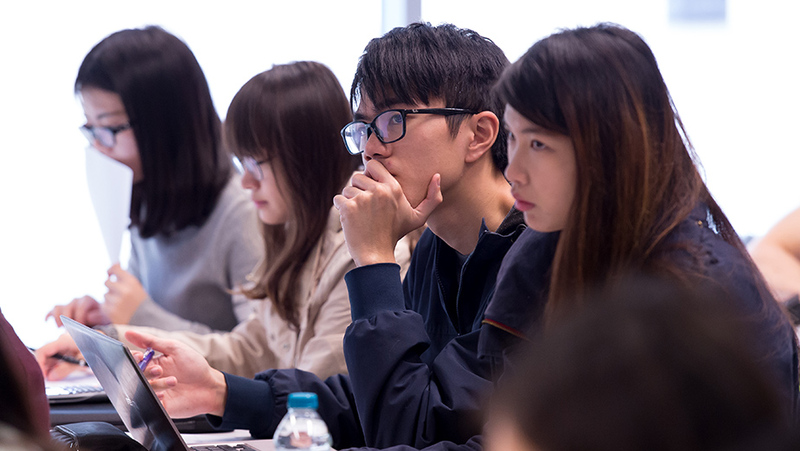 Students have access to real-time data from both Bloomberg and Thomson Reuters service platforms. Prepare yourself for roles in the exciting and growing industry know as Financial Technology (FinTech), where there are opportunities in banks, consultancies, investment companies and asset management firms. With this course, you have the opportunity to apply for a year in industry where you can put your knowledge into practice. We have a wide range of well-established partnerships including local, London-based and international companies. Below is the list of modules that we plan to offer for the academic year 2019/20. They are yet to be approved and may not run due to staff availability, student demand or updates to our curriculum. We’ll make sure to let our applicants know of such changes to modules at the earliest opportunity. This course prepares you for roles in the exciting and growing industry known as Financial Technology (FinTech), where there are opportunities in banks, consultancies, investment companies, and asset management companies, stock brokerage firms and peer-to-peer lending companies. This course will also enable you to work in traditional finance and software engineering industries. At the University of Sussex Business School you benefit from extensive career support and business connections including mentoring by employers, networking and guest lectures.